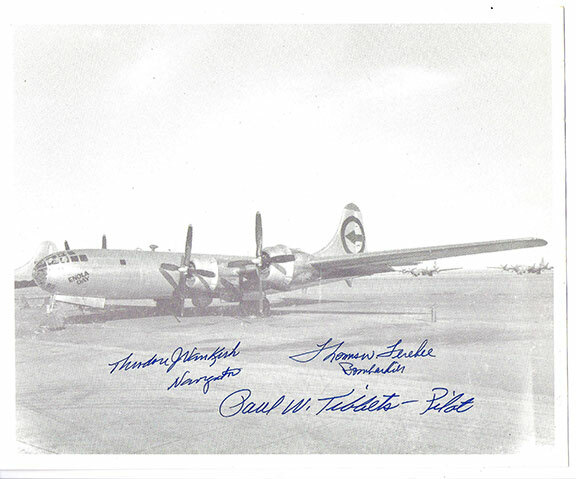 FEREBEE, Tom (1918-2000) Bombardier dropped the first atomic bomb, on Hiroshima. VAN KIRK, Theodore (1921- ) Navigator of the Enola Gay. He got them there and back, safely.